Our memory of personally experienced events is central to our identity and our sense of self. When remembering, we create an image of our experience in our minds. Previous research has shown that ­­­­­we judge our memories to be more accurate, vivid, and associated with a greater sense of re-experiencing events if these mental images are created from the perspective in which we experienced events – our first-person or self-perspective. This is interesting, as our ability to interpret the type of spatial information required for this mental image relies on parts of the brain that are not generally thought of as critical for memory. Although memory for an episodic recall is linked with the medial temporal cortex, in particular, the hippocampus, the accurate representation of egocentric (that is from our own perspective) spatial information is a function of a different part of the brain called the parietal cortex. There is a current debate concerning the role of the parietal cortex in episodic memory. Studies using functional brain imaging, which examines ongoing neural activity when people carry out cognitive tasks, have consistently revealed that, in addition to medial temporal cortex activity, there appears to be parietal activation in episodic memory tasks. This has been often overlooked or judged to be unimportant, as patients who have damage to these parietal brain regions – commonly after stroke – are unimpaired on most standard tests of episodic memory. What we wanted to test was whether these stroke survivors with damage to parietal cortex might, in fact, have subtle impairments in their memory ability if assessed in a task specifically designed to require self-perspective information. In our new task, participants wore head cameras while they were shown unique scenes containing everyday objects in specific arrays on a grid. Observers were told that we would use stills from the head camera to test their memory later. While people observed these scenes, they were asked, in different trials, to sit to the left or to the right of the grid. To test memory later for these scenes, we showed participants two images at a time and asked them to choose which one was “their” scene. One of these scenes was always identical to one they had seen – the same objects, in the same grid squares, taken from the same position as their head camera image. The other scene – the one that differed from their original one – varied in two ways: it featured the same objects and was taken from the same angle but one of the items had moved to another square, or it featured the same objects in the same grid squares but taken from the alternative perspective (see Figure 1). Figure 1: Examples of the types of pictures shown when we tested people’s recognition of the scenes. On the left are scenes representing the original scene they viewed and on the right of the figure are examples of the types of “lure” scene in the two versions of the task. Figure courtesy Charlotte Russell, republished with permission from Elsevier from https://doi.org/10.1016/j.neuropsychologia.2018.12.013. Discriminating their own scene from the decoy scene involves long-term episodic memory but the spatial changes are different. The “item shift” involves an “allocentric” spatial change, which means the items have changed in their spatial relationship to each other. The “perspective shift” is an “egocentric” difference – the items’ relationship to one another is the same, but the perspective of the viewer is changed. Our results were clear: when compared to age-matched control participants, those with damage to parietal cortex were only impaired in choosing between their own images and those with the egocentric perspective shift. Their allocentric episodic memory and their memory in other standard tasks of episodic memory were equivalent to healthy controls. This suggests that they have a specific deficit in the self-perspective aspects of episodic memory-an impairment that has not been shown before. This finding has important implications. First, it is vital that we understand the full consequences of damage caused by stroke and these subtle memory impairments may well impact on daily life for these patients without being picked up using standard assessments. Second, it outlines more clearly the role of these brain regions in this cognitive process. These findings in our stroke survivors led to our second study. We wanted to see how this process changes with healthy aging – as we know, episodic memory declines with age. In fact, the less vivid memory recall associated with aging is often accompanied by an increase in recalling events from a third-person perspective. In other words, as we get older, we rely less on egocentric self-perspective mental images that appear to be important for detailed and rich episodic recall. In this study, we also wanted to monitor regional brain activity as people made these memory recognition judgments. 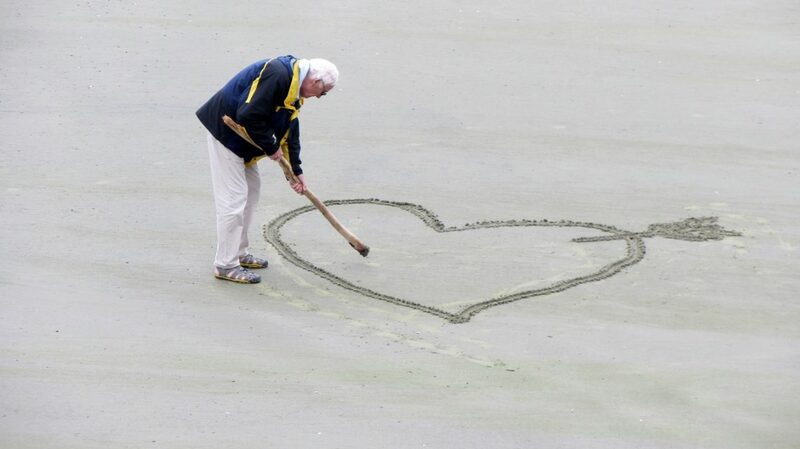 In the experiment, healthy aging adults took part in a similar task. In the recognition phase, they were shown only one image so that we could measure brain activity associated with viewing that particular scene. They were asked if they had seen this image in the encoding session and if it was from their head camera. Looking at the accuracy in our memory tasks in this second study, we did see that the older group had a memory equivalent to the younger group on many aspects of performance. However, one key aspect that had declined was specific to these judgments involving egocentric perspective information. 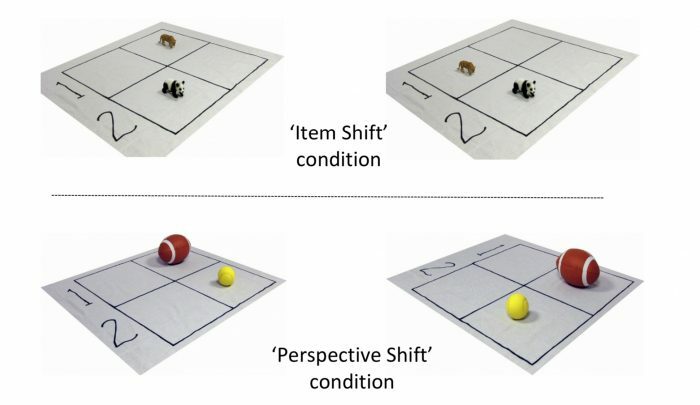 We were also interested in how the brain responded to images of the exact same scene when it is shown within the same perspective from which the participant had encoded the scene compared to when it was presented from the alternative perspective. These are subtle changes, and so we used a particular analysis technique called multi-voxel pattern analysis (MVPA). This type of analysis is highly sensitive and decodes different patterns of brain activation associated with even subtle differences between task conditions. MVPA is often described as a type of “brain reading,” as the experimenter does not pre-define to the computer as such which condition individual images are in, but, after a training with images from each condition, the classifier ‘”earns” which condition a particular stimulus fits into according to the pattern of activity seen in the brain. What our results showed is that the successful discrimination by older adults of whether the scene they were being shown was from their own head camera view or not was associated with a consistent pattern of neural activity in parts of the parietal cortex – such as the angular gyrus – previously linked to episodic memory. Importantly, here we extend that to show that this pattern of activity is specifically linked to the egocentric self –perspective spatial information that appears to be so vital for episodic recall. Overall, our results have helped to clarify how the parietal lobe contributes to memory function and opened the door for further exploration of how patients with parietal damage might experience difficulties in everyday activities. These findings are described in the article entitled Self-perspective in episodic memory after parietal damage and in healthy ageing, recently published in the journal Neuropsychologia.